Richard Weinstein during a review in 1992. 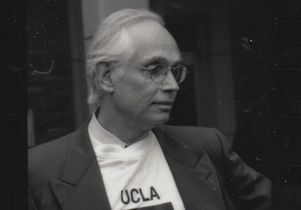 Richard Weinstein, former dean of the Graduate School of Architecture and Urban Planning at UCLA and champion of the more experimental west coast architectural approach who helped place UCLA at the forefront of a movement to incorporate the burgeoning field of computer technology and robotics into the school’s curriculum, died Feb. 24 in Santa Monica, California. He was 85. 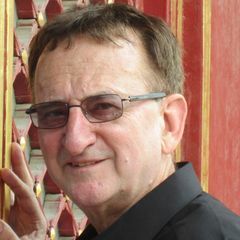 Weinstein was dean of the architecture and urban planning school from 1985–1994 and professor of architecture and urban design, from 1995 to 2008. UCLA Executive Vice Chancellor and Provost Scott Waugh echoed Lavin. Weinstein’s many contributions include establishing the Lewis Center for Regional Policy Studies at UCLA, serving on the jury for the Walt Disney Concert Hall, and as co-administrator of the architectural selection process for the new Cathedral of Our Lady of the Angels in Los Angeles. “Richard’s commitment to improving the public life of cities as a young man in the mayor’s office in New York was met with an equal commitment to safeguarding the creative independence of the notoriously free-wheeling Los Angeles school of architects from bureaucratic control,” Lavin said. From 1968 to 1974 he was director of New York City Mayor John Lindsay’s Office of Planning and Development for Lower Manhattan. This period marked a unique moment in the history of civic urban planning when designers had agency beyond the immediate concerns of building code. More than 100 urban planners and architects worked with the direct authority of the mayor to negotiate deals with the development community consistent with a broader vision for the planning for the city. In this role, Weinstein helped transform the way cities manage development, insisting that public benefit had to be identified as a fundamental principal of zoning variance. He believed that part of the city’s mandate was to preserve and enrich the life of the public and cultural streetscape as the city grew taller with private investment. Refuting the practice of simply granting variances to developers in exchange for increased taxes, these zoning codes became a new and different means of implementing complex planning objectives. In midtown Manhattan, this policy expressed itself in a commitment to preserving and expanding the historic midtown theater district. In exchange for building variances, developers would have to integrate theaters for the public benefit. Under this policy, Weinstein introduced two experimental and two Broadway theaters: the Minskoff, the Uris, the Circle in the Square and the American Place Theater. He also helped to save the South Street Seaport and the last 18th century brick buildings, six blocks of them, on the island of Manhattan by brokering a real-estate alliance with a consortium of Wall Street Banks led by David Rockefeller. He helped to bolster the Museum of Modern Art’s finances and fund its expansion by proposing the development of a new residential tower that leveraged an underutilized building envelope. Weinstein’s later projects include the concept, schematic design, and administration of the Museum of Modern Art’s first expansion in New York; new and adaptive reuse of facilities for the National Trust for Historic Preservation; promotion of the redevelopment of 42nd Street; design and completion of Temple Kehillath Israel in the Pacific Palisades; design of the Westside Children’s Center; and proposals, among others, for Gorky Park, Moscow. Born in New York, he earned his bachelor’s degree in experimental psychology from Brown University, an M.A. 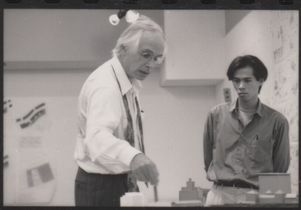 in clinical psychology from Columbia University, and a master of architecture from the University of Pennsylvania, where he studied under renowned architect, Louis Kahn. Throughout his career, he was recognized with many distinctions including the Rome Prize awarded by the American Academy in Rome and a first prize in urban design from Progressive Architecture. He is survived by his wife and partner of 34 years, Edina, two sons — Alexander and Nikolas, and two granddaughters. 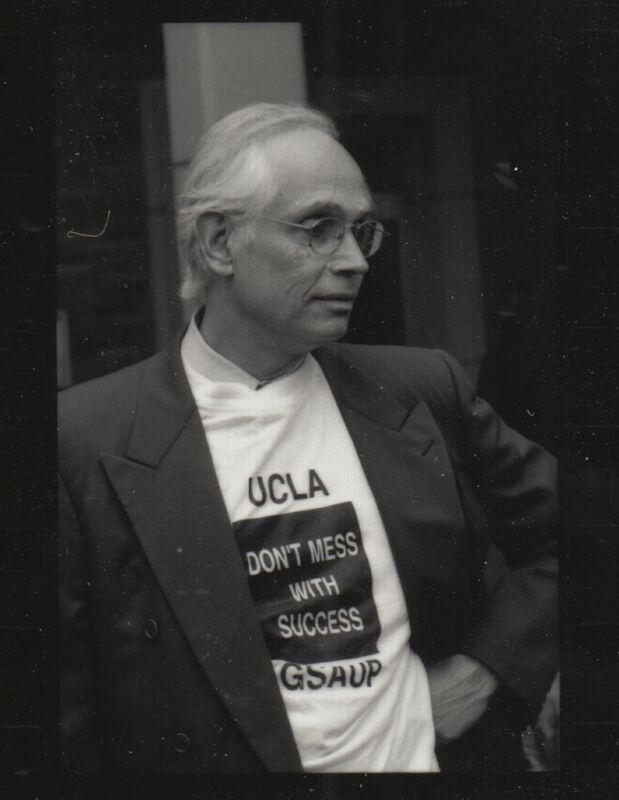 Richard Weinstein, former dean of the Graduate School of Architecture and Urban Planning at UCLA.